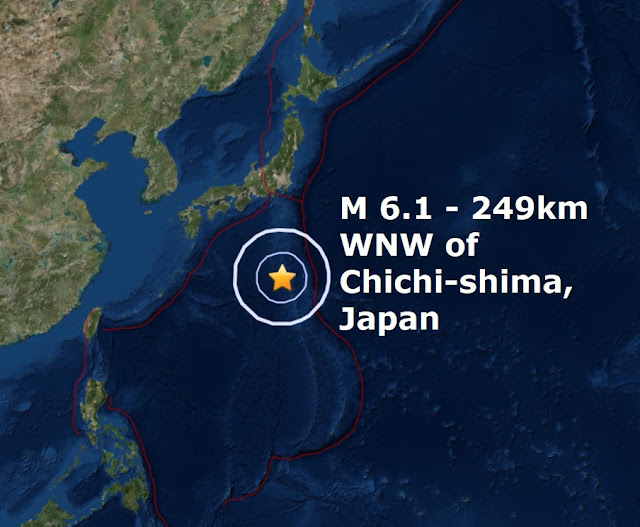 A very deep mag 6.1 - 249km WNW of Chichi-shima, Japanis the second major quake of September and the and the 67th of a record quiet 2017. Calm before the storm? 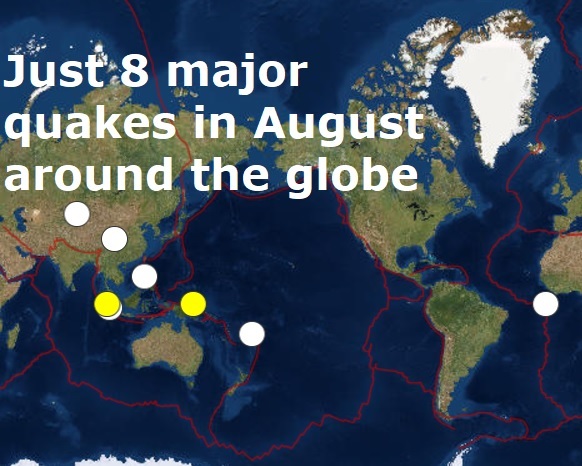 August continues a massive downward trend in quakes of mag 6 or higher: Should the alarm bells be ringing?